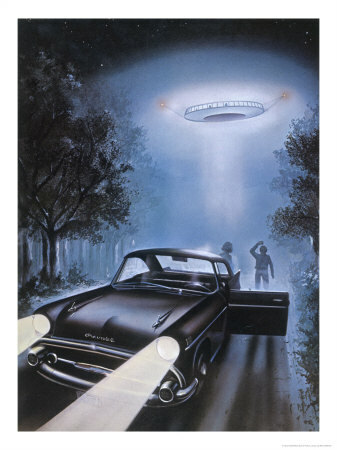 No doubt few cases within UFO phenomenology have created as much a "resonance" as the alleged kidnapping of Betty (Eunice Elizabeth Barrett Hill) and Barney Hill. The Hill marriage, almost unintentionally, "gave life" to the basic paradigm of supposed alien abduction experiences by providing the components that would be "repeated" to satiety in many parts of the world, but above all in the United States, (home par excellence to extraterrestrial abductions). In the early morning hours of September 19-20, 1961, the Hills were to be the protagonists of what would be a milestone in modern ufology. 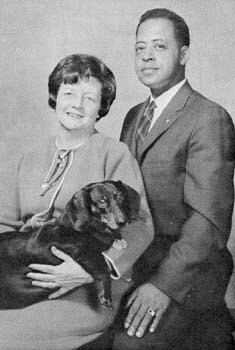 Returning from a placid vacation in Canada, the couple of Barney and Betty Hill were reportedly kidnapped by UFO crews. 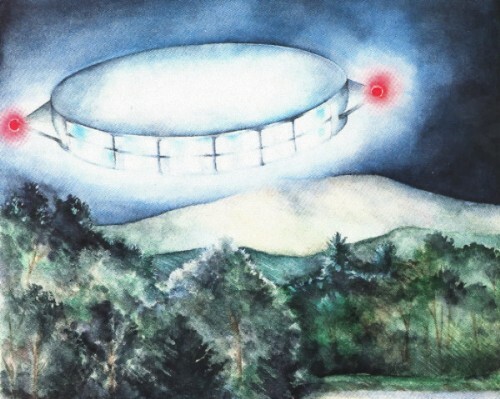 When this disturbing incident occurred, the Hill's could remember nothing except the observation of a strange, luminous aircraft that landed near them, on which they could distinguish several beings. The researcher John G. Fuller, author of the best-selling book devoted to the case, "The Interrupted Journey" (1966), commented on the details of the encounter with the UFO: "As Barney looked through the binoculars, the huge object had the same diameter as the distance between two of the telephone poles along the road and silently made a complete turn on the road, remaining only about thirty metres away from them. The double row of windows of that object was now perfectly visible. (...) Barney was very frightened, but without knowing why he crossed the road, then went into the field and advanced directly towards the object. Now, the huge disk was tilted at an angle toward Barney; two projections, like fish fins, came out on both sides, and had red lights at the ends. The windows looked convex and extended around the perimeter of the thick, cake-shaped disc. The slightest noise was still not heard. Full of agitation, but still possessed of an irresistible urge to get closer and closer to the vehicle, Barney continued to advance through the field, reaching only fifteen meters away from the object, which had descended to the height of the treetops. Barney didn't calculate its size, but it was said to be as big as a jet-powered passenger plane, or bigger perhaps. (...) Behind the windows, Barney sees the figures; at least half a dozen living beings. They seemed to be leaning against the transparent windows as the object descended toward him. They were grouped together, looking at him. He vaguely warned that they were in uniform. Betty, almost 60 yards away, was yelling at him from the car, but Barney doesn't remember hearing her. Many years later, following some of Mrs. Hill's nightmares, they went to her doctor, Dr. Duncan Sthepens, who in turn requested the cooperation of psychiatrist, neurologist and hypnologist Dr. Benjamin Simons. It was at that moment, when Betty remembered all the traumatic experience they had lived that night when they were introduced into the UFO by several humanoids, not very tall, with big eyes, no lips and wearing Nazi-style uniforms (sic). "He looks like a German Nazi," Barney says. He is a Nazi (....) wearing a uniform," asks Dr. Simon, "he had a black scarf around his neck, which fell on his left shoulder (...) his eyes were oblique. But not like the Chinese." Under hypnotic suggestion, both Betty and her husband, separately, told a coherent story that astonished the doctors who were treating her that they did not know exactly what they were dealing with. According to the information revealed under hypnosis, the marriage underwent a thorough medical examination inside the UFO. According to Betty, this check-up took place in a large room lit up on all sides (ceiling, floor, walls...) with a stretcher in the middle. "When they walk into that room," said Betty, "they come with an English-speaking man. He stays for a minute, I don't know who they are; I think maybe it's the crew... and another man comes in. I haven't seen him before. I think he's a doctor. They bring the machine.... it's something like a microscope, but a microscope with a large lens. It gave me the idea that they were taking a picture of my skin. Then they took something similar to a letter opener, but it wasn't, and they shaved my arm here.... there was like a piece of cellophane or plastic, or something like that, they scraped and put what they took out on that plastic. "And I asked the boss,'Why did they put the needle through my belly button?" And he told me it was to check if I was pregnant. Meanwhile, Barney Hill in another UFO room was also thoroughly examined. "I could feel myself being searched with his hands.... They looked at my back, and I could feel them touching my skin..., as if they were counting my spine... and then they turned me over, and again they checked me. They opened my mouth, and I could feel two fingers closing it. Then I heard as if more men were coming, and I could feel them moving along the side of the table I was at. Something scratched me gently, like a stick against my left arm. And then those men left. After a while they came back, put my shoes on, and I was able to get off the table. I think I felt good because I knew I was done.... I went down the ramp and opened my eyes and kept walking. I saw my car... and Betty was walking down the road, and then she opened the door." Description of the humanoids who abducted the Hill marriage. Even with the pain in her belly, Betty, with great common sense given the distressing situation in which she finds herself, thinks she must by all means obtain proof of the existence of the UFOs in the world, and for this she takes advantage of a moment alone with one of the crew members: "I was grateful to him because he had taken away my pain and because he didn't scare me (he means the humanoid whom I considered the leader of the group and the most kind) (...) And I told him that it had been an experience for me. That no one would ever believe me if I told (...) And that what I needed was proof that all that had really happened. And the boss laughed and asked me what kind of proof I wanted. What I'd like to take with me. And I said to him: Something I could take with me and teach people because then they would believe me. And he told me to look and see if I could find anything I liked. And I looked... There weren't many things in that room.... But I saw a book in the closet. A pretty thick book. So I took the book and said, "Can I take this with me?" And he told me to look through the book, and I did. It had pages and they were written. But the writing was completely different from all the writing I know. It seemed almost like... I don't know... the writing didn't cross the page, it went up and down. (...) They had some points, straight lines and curved lines. And the boss laughed and asked me if I thought I could read that. And I told him no. He laughed again and I told him that I didn't care because I didn't want to take it with me to read it, but to use it as proof of what had happened to me, and he told me to take it with me. And I took it and I was delighted. Actually, that was more than I had expected. And I was there, telling her that I had never seen anything like that book and that I was so glad she gave it to me. Then, in those instants, the most publicized and controversial episode of the Hill's experience takes place, and one that has caused more rivers of ink to be poured out. Betty asked her captors where she came from and the "boss" showed her a map; "And he went to the other end of the room, to the table, and did something: he opened something that was not a drawer (...) and the metal on the wall opened and he pulled out a map and asked me if I had ever seen a map like that. And I crossed the room and leaned over the table. And I looked at it. And it was a map, an oblong map. It wasn't square. It was much wider than it was long. And there were a lot of stitches in it. They were scattered all over its surface. Some were as small as pinpricks. And others were the size of a small coin. And there were lines, there were lines at some of the points. They were curved lines that linked one point to another. And there was a big circle and a lot of lines coming out of it. Many lines went to another circle very close by, but not that big. And these lines were thick. And I asked him what they meant and he told me that the thick lines were trade routes and then the other lines were routes to where they went from time to time. 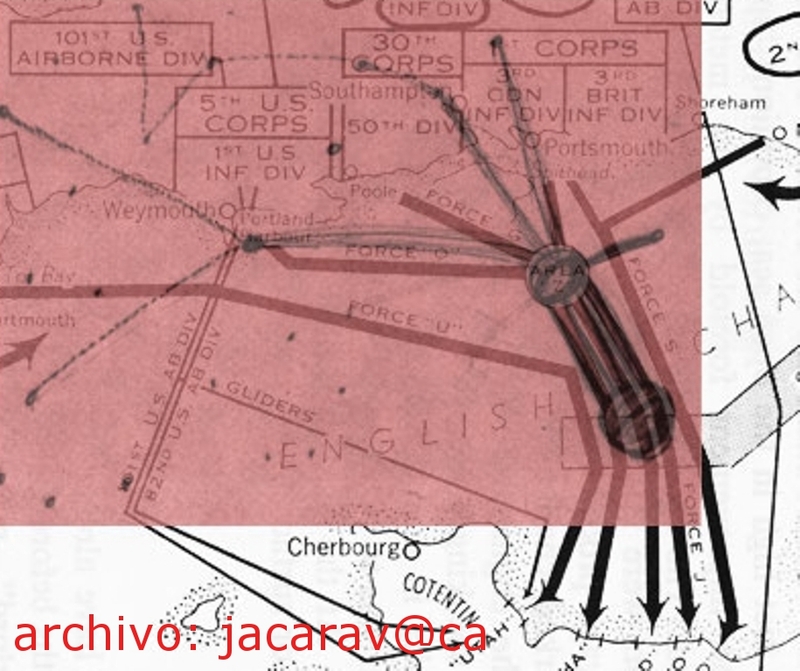 And he also told me that the dotted lines followed were expeditionary routes. Betty asked him again where he came from and again the alien avoided the answer, arguing that he would not understand the map. The marriage was led into the UFO by humanoids in uniform with military caps. And when the conversation was at its height and most interesting, some humanoids stormed into the room and discussed something with the "chief". Then they tried to pull out Betty's teeth, and she asked them what they were doing. Apparently Barney had hairpieces and they thought the woman's were too. Betty laughed and told them that her husband had lost his natural teeth in an accident and that's why he was wearing his teeth. He also explained that over the years, humans sometimes lose their teeth, but the "extraterrestrials" did not seem to understand the concept of time and longevity. The experience comes to an end and accompanies them on their way out. Betty clings to the book, thinking it carries irrefutable proof. "We're back in the hallway again. Barney's behind me and his eyes are closed; and a man on each side. And when I start to lower the ramp, several of the men, not the boss, but some of the others, start talking. I don't know what they're saying but they seem very excited. And then the boss comes up to me and takes the book away from me. Betty gets very angry and yells at the "boss" who promised her the book as proof. "Yes, I know (...). And precisely because it is a test the others do not want. They want them to forget what happened, to forget it completely. Under hypnosis Betty Hill was able to draw the star map she had seen inside the UFO. As a result, the efforts of the supporters of the extraterrestrial hypothesis concentrated on trying to identify and translate the supposed "stars" of the alien map to an astronomical map, in order to demonstrate the reality of this type of experience. Aside from the fact that there was no lack of initiatives to try to decipher the content of the famous stellar plane, but, at first glance, none of the researchers or ufological groups that tried to do so could find any parallelism with the stars and constellations that we know on Earth. It was a teacher from Ohio, Marjorie Fish, who had the idea of hanging the "dots" on the map from the ceiling to try to see it from another perspective, as would have been hypothetically done by the aliens who would have traced it from their place of origin and not from our planet. With a more than logical approach, it took the teacher quite some time (1966/1972) to find a pattern of stars that resembled the dots scribbled by Betty during the hypnosis sessions. But he finally made it. I was sure that the map corresponded to the Grid Constellation , a small constellation only visible from the southern hemisphere. Two Zeta 1 and Zeta 2 stars stand out, located 37 light years from our planet. The professor was convinced that in 1964 (date of the regression and obtaining the map) nobody had that astronomical knowledge, so the source of the information had to be the crew of an alien ship, as the Hill family defended. So shocking was the publication of the finding, in its day (1975), that the nuclear physicist and ufologist Stanton Friedman claimed, with excessive faith, for the professor a "prize" of 50,000 dollars awarded by The National Enquirer magazine to anyone who provided solid proof of the reality of UFOs. However, some critical voices have shown that with a little time you can find parallels with other stars in the sky. Even the well-known scientist Carl Sagan said: "If we intend to find a correlation between the two maps "Betty's and Marjorie's" by selecting elements from each one at will and ignoring others, we will always succeed". To the detriment of Marjorie Fish's goodwill, the original Betty Hill map was made up of 26 points, and the teacher found only 15 references on her map, so the correspondence of the remaining 11 points was missing to be 100% reliable confirmation. Even outright skeptics like Robert Sheaffer claimed that there were more accurate maps than those of the Ohio teacher. "The second supposed identification of Betty Hill's star map was proposed by Charles W. Atterberg - we read in his book UFO Verdict (1986). It computed the trajectory of certain groups of stars when viewed from various perspectives in space. 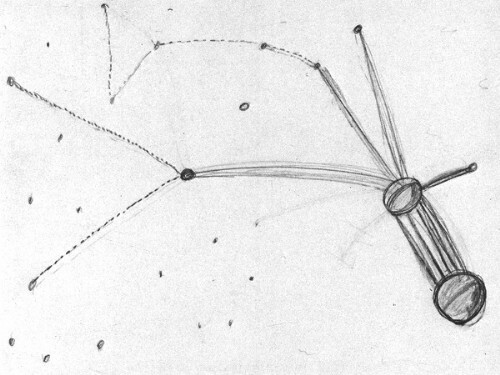 After much work, Atterberg discovered that there is a point in space, along the southern boundary of the constellation of Ofiuco, from which the stars in the vicinity of the sun seem to correspond almost exactly to the outline of the Hill sketch. The Atterberg map fits the sketch much more precisely than the Fish map, and identifies 25 of the 26 Hill stars, instead of just 15. Atterberg so little was limited to stars capable of life. It began by representing all the stars defeated by the sun, which makes it all the more remarkable that most of the stars supposedly visited by aliens (according to this map) have been very favorable to the maintenance of life. Of the eleven stars that could have been visited by extraterrestrials (not counting the sun), seven are on the RAM Corporation's study list by Stephen H. Dole, planets inhabitable to man as stars that might have inhabitable planets (Not a very low percentage of stars chosen at random in the sun's vicinity!). Even more surprising is the fact that the three stars that form the heart of the Atterberg map - Epsilon Eridani, Epsilon Indi and Tau Ceti -, connected by lines representing the supposed main routes of the ufonauts, have been described by Carl Sagan as (the three closest stars with potential biological interest). Without a doubt, this is far more remarkable than any evidence in favor of the Fish map. Recently astronomer Brett Hollan published an article in November 2008 in the Fortean Times magazine, indicating that Fish's work lacks rigour at the present time. Distortion theory states that UFO close encounters are the product and result of the interaction of the witness's mind (at the unconscious level) with an unknown external agent. After a "connection" (communication) between both elements, the indeterminate factor is able to tune our mind and is able to extract as much information as is necessary for the conformation of the experience, both in the appearance of the observed "flying sauces" and in the appearance of the humanoids, as well as in their actions. This information, to form the "ingredients" of the close encounter, comes from the unconscious of the witness who, imbued by literature, cinema, TV or his immediate environment, serves as a powerful source of documentation, capable of filling in and sustaining all the elements of his experience. The external factor has among its functions, to limit the "creative" and dreamlike actions of the unconscious, making the experience follow "logical" channels, within the context that is wanted to be expressed; the extraterrestrial visitation. Otherwise, without this control or supervision, the indiscriminate mixing and incorporation of unconscious components and contents (fantastic and ordinary) would turn UFO experiences into authentic mental aberrations (in the case that we would like to dispense with the existence of this component external to our psyche, and simply attribute it to mental processes that are exclusive to human beings, altered by different causes, from mental disorders, hallucinations, drugs, magnetic fields, etc.). According to the distortion theory, the functioning and staging of UFO episodes follow the patterns of dreams, as if the external agent were creating a "film" of our unconscious material. Dr. Helios Jaime in an interesting article called "Psychophysiology and ideosemantism of sleep" wrote that: "in sleep, scenes are produced that take place at a time when the succession is totally disturbed and in a space whose dimensions are completely transformed. In a way, this is what happens in the theatre and, above all, in the cinema". Sigmund Freud argued that dreams are symbolic representations of desires that have been repressed at the conscious level. Some of these desires are manifested during sleep using for them a "strange and absurd" language that hides their true meaning. The Austrian doctor was convinced that the dream, although it manifested itself in an absurd and apparently incomprehensible language, had a meaning and a purpose. The dream must be interpreted as the symbolic (disguised) realization of the repressed desires of the individual's private unconscious. Freud identified and enumerated a series of characteristics of the unconscious psyche that do not exist in the Consciousness: 1.- There can coexist impulses or ideas that are incompatible with each other without appearing to contradict each other. 2.- The meaning can easily be moved from one image to another. 3.- Multiple different meanings can be combined in a single image. 4.- Unconscious processes are timeless. Ideas are not ordered chronologically or altered by the passage of time. The unconscious does not respond to the external reality, but represents the internal psychic reality. The thought processes of the Unconscious are determined in part by the interaction of unstable and emotional forces that are in conflict with each other (psychodynamics). Barney compared the clothing of humanoids with the uniforms worn by German soldiers in World War II. Although it is a radically different experience (in origin, purpose and purpose), the "distortion" could be perfectly framed, because of its similarity, in the psychodramas developed by the human mind during the sleep stage, since it tries to transmit a message through images and sensations. Hence, under the perspective of Distortion theory, the absurd factor loses its halo of immeasurable and metaphysical mystery in the analysis of close encounters, ceasing to be an "X" to be added to the equation of UFO problem solving, to become a "side effect" of the interaction of the external agent and the human mind. For decades, various researchers have tried to give a degree of relevance to certain aspects of the phenomenon of the Unidentified, and under a broad premise have been labelled under the question of the "absurd element", to try to justify all the illogical and irrational conditions that surround the experiences with the supposed visitors to space. 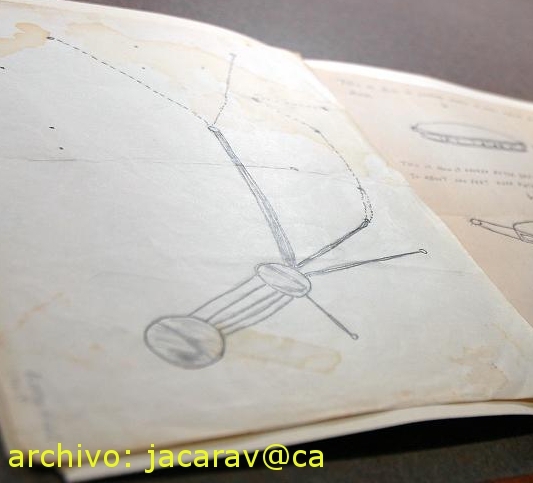 The distinguished researcher Jacques Vallee wrote in his documented and revealing book "Dimensions" (1999): "The contact between the witnesses and the UFO phenomenon always takes place under conditions controlled by the latter. Its characteristic is an absurdity factor that leads the upper layers of the society in question to reject history. For Vallee the absurd elements in UFO experiences would have, among other purposes, the mission of covering up the ultimate reality of the Unidentified, by creating disconcerting episodes. The illustrious thinker Ignacio Darnaude, in an interview with the researcher Moisés Garrido, stated that: "The unintelligible, the absurd and the strange have been the most guaranteed mark of the modus operandi of our sidereal neighbours since 1947. Their actions are, with all deliberation, bizarre, erratic, headless and improbable. However, we can make another reading of all this. If "distortion" involves the "three-dimensional" and even "physical" manifestation of various mental processes, under the tutelage and direction of an external agent, this means that the experiences of close encounters would have their own, non-transferable aspects of the witnesses, who described outside the individual context, would acquire that atmosphere of absurdity, so frequent in the UFO incidents and indisputable seal of the dream world. In fact, dreams manifest themselves in a language of symbols and archetypes that apparently "escape" Cartesian logic. Dr. Simon thought, after analyzing the Hill's regressions, that "much of what was revealed resembled other dream-like revelations. But with all this we are saying we do not want to delimit or reduce the transcendence of the UFO phenomenon to the purely mental or chimeric universe of dreaming, hallucinations or mental disorders. On the contrary, the external agent, who probably just as he "tuned in" and "decoded" the exclusive mind of the witnesses, can access the collective unconscious with all its symbols and archetypes (recognizable to all humanity), constructs and builds up his elaborate representations with the psychic material provided by the witnesses, and can condemn in a physical space a three-dimensional "image" giving it a momentary corporeality, capable of leaving traces and marks. 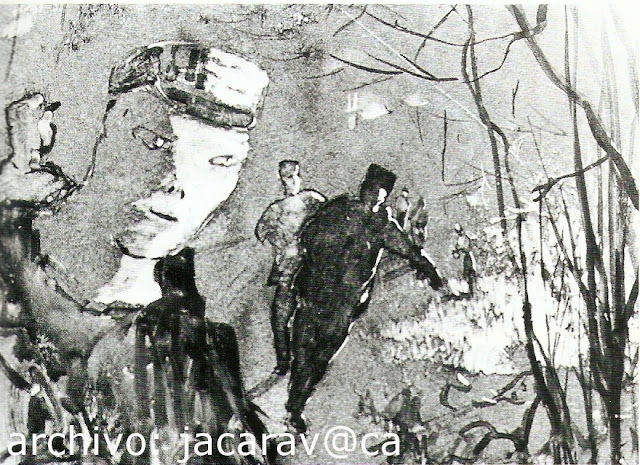 But we must always bear in mind that the anomalous manifestations that appear before our eyes are still distortions of our own psyche presented and modified by the external agent to make us believe in extraterrestrial visitation (in the same way we can extend this idea to Marian apparitions or, for example, encounters with ghosts). Following these precepts we can analyze the Hill's abduction and present a new approach to their experience of contact with the supposed crew of a spacecraft. To begin with, it must be said that as described in John Fuller's book "The Interrupted Journey", Barney was an "enthusiastic airplane observer", so at the unconscious level, we already found an interesting source of information for the external agent to "build" the flying saucer, based on the husband's knowledge. In fact, some paragraphs of the book read as follows: "With the help of the twins, Barney now distinguished a shadow similar to the fuselage of an airplane, even though it had no wings. 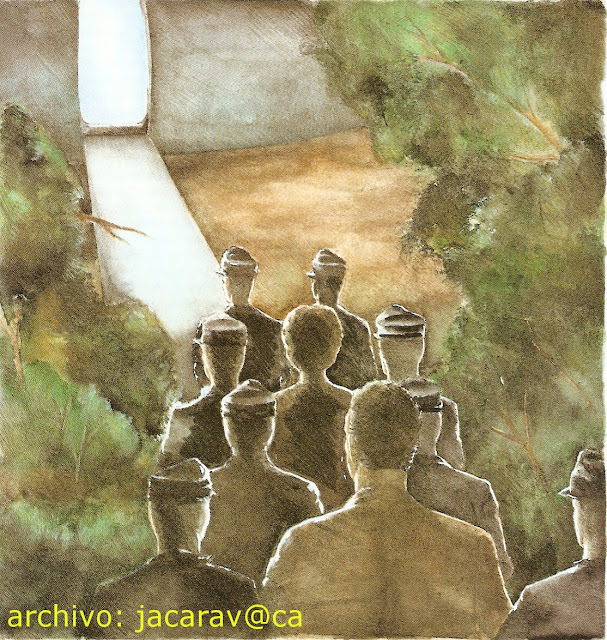 Even on one occasion a military reactor passed over Barney at a very low altitude, making a great impression on him, and he expressed this under hyponysis: "I am thinking of taking a bath in French Creek, with my two children. And this plane goes over me and it gets on top of us and stops a few inches above the state park. John Fuller himself cannot help but make the following comment, which somehow confirms the reality of the distortion: "The movement of the object in the sky reminded Barney of such an incident, which had happened to him some time ago with an airplane, which made a deep impression on him. It is interesting to see how the reminiscences are related and how they keep their clarity and vividness, despite the time that has passed. Remember that Barney was the one who gave the most detail about the mysterious aircraft. 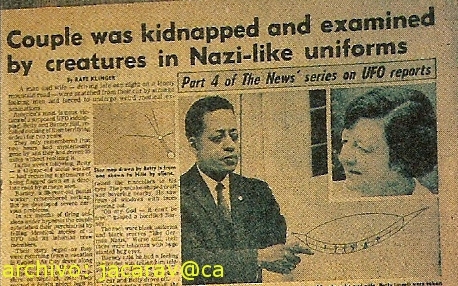 However, more interesting than the external appearance of the UFO, is the appearance of the UFO crew, Barney states, under Dr. Benjamin Simon's hypnosis: "He looks like a Nazi (...) had a black scarf wrapped around his neck, which fell over his left shoulder", it is clear that this is not just a simple allusion to the fact that they wore a type of military uniform, but that Barney explicitly compared them to the clothes of Nazi soldiers, in fact, he was in the army and fought in World War II. Insisting on this question, Barney adds that the "boss" of humanoids was different: "His dress was different from that of the others. And I remembered Starfleet and the submarines, and I thought those who moved to the bottom were in blue, but this one was wearing a bright black warrior and was touching herself with a hat. For her part, Betty adds another detail that points to the integration and distortion of elements already known to the witness in her experience when she describes the humanoids: "In a way they looked like mongoloids. I was mentally comparing him to a case I'd been dealing with lately, a Mongoloid boy: that guy with the round face and the wide forehead, the coarse one. His skin looked bluish gray, but it was probably a little whiter. Her eyes were moving and she had a pupil. (...) reminded me of the eyes of cats." In a summary of her dreams related to her abduction experience, Betty went so far as to write about the appearance of humanoids: "They would measure from five feet to five feet. Their chests are wider than ours; their noses are bigger (meaning longer) than normal human ones, although I have seen people with noses like these men's; Jimmy Durante, for example. There is no doubt that Betty's description is very unique, especially in the detail of her nose, which she even compares to that of a famous American actor and singer of the time. And her husband, she makes constant references to military uniforms, including a cap. Again it is evident that the external agent is able to build on the daily memories of the witnesses, fusing and distorting the information to form a UFO episode. Following the Nazi premise, we find another coincidence at least striking. 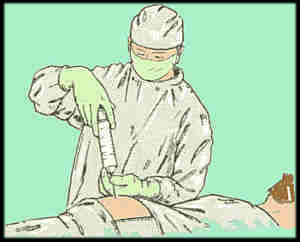 One of the most commented points by researchers to prove the authenticity of the case is to emphasize the pregnancy test that Betty is subjected to, the ovaroscopy, a technique not known at the time. However, if, as we want to demonstrate, close encounters and abductions develop patterns of functioning similar to dream experiences, certain information can be transformed at the unconscious level, presented in a veiled way. 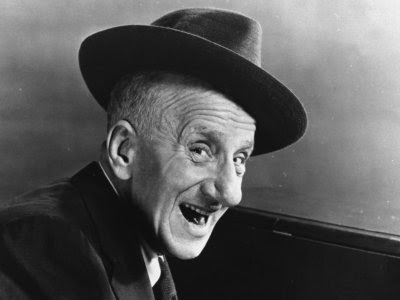 Evidence of of unconscious factors involvement in the creation of the experience was the description (Betty) of the nose of the "aliens", which she compared to those of a famous American artist, Jimmy Durante. In the Nazi concentration camps, during World War II, German doctors conducted all kinds of experiments on prisoners. One of these tests, developed by Nazi doctors in the field of gynecology, led to the creation of a method of termination of pregnancy. Did Betty Hill know these facts, and did she turn the lethal abortion needle into a simple pregnancy test? The witness worked as a social worker and is very likely to have been familiar with these abortion methods or to have simply read, commented on or seen something similar on television. In addition, Betty was unable to have children and unconsciously, this type of information is important to develop in a psychodrama. It should be added that Barney had been in the doctor's office very recently before his experience with ulcers and had undergone X-rays, so that the medical examinations were very "fresh" in the memory of the couple. Like Betty, Barney also makes a reference to the "aliens" touching her abdomen area during the scan: "I was lying on the table and it seemed to me that someone was touching my groin with a cup and suddenly stopped. If the distortion theory is correct, the witness's unconscious is used as a library by an external agent to shape his or her close encounter with the supposed alien beings. Since it is unlikely that an advanced alien civilization needs a method as invasive and "primitive" as the introduction of a needle into a woman's abdomen to know if she is pregnant, when today, our technology has more effective means. Abortion by "saline" infection contains some of the elements described by Betty. The Hill family claimed that they were taken aboard the flying saucer held by humanoids during hypnosis, and in their response Barney induces the true (psychic) origin of this "idea": "they are helping me. And I'm thinking of a movie I saw many years ago and this man is taken to the electric chair. And I think about this and I think that I am in the same situation as that man. (...) I feel like I'm dreaming. Again, we find mental references in Barney that were used to "create" his famous abduction episode. But there are more examples. When Betty recounts the episode of the "alien book" that she wanted to bring back as a "souvenir", she comments that "the writing was completely different from all the writing I know. It seemed almost like... I don't know... the writing didn't cross the page, it went up and down. 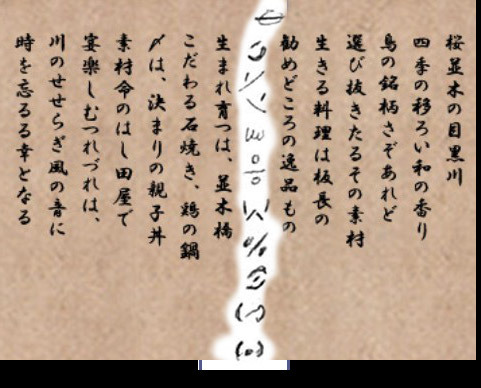 But yet, if we carefully analyze his testimony, we find the answer hidden in his own words; "Though I have seen Japanese writing, this writing was of very clearly delineated lines, and some were very fine, some were regular, and some were very thick. During hypnosis, Dr. Simon asks: "What languages do you know whose writing goes from top to bottom? Know, I don't know any," says Betty, "but I recognize the writing, even though I can't read it; Japanese. Betty says that she has seen on occasion something written in Japanese, and "curiously", the writing of the book, is precisely similar to Japanese, as our brain would do in a dream, modify or distort known memories. But perhaps the most amazing aspect of the Hill experience was discovered by the good researcher Rich Reynolds. 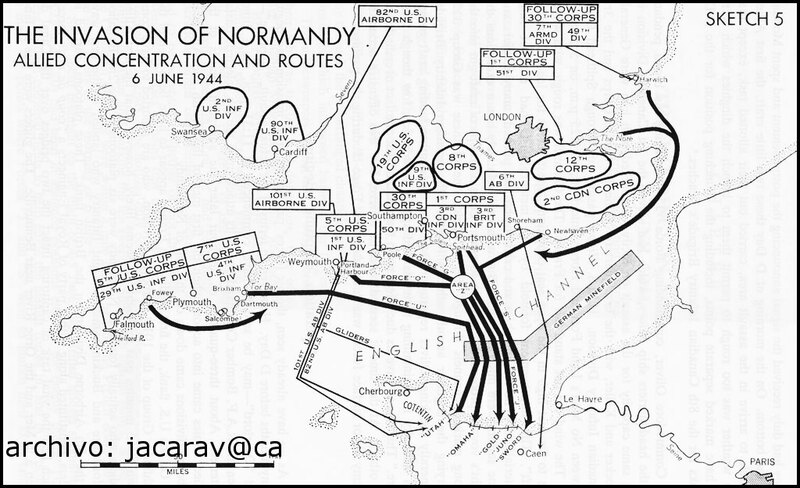 Betty had a map of World War II, specifically the famous Normandy landing, hanging on the wall in her office. If we look at the map we can see that it has many points in common with the supposed star plane that the witness saw inside the ship. Original map drawn by Betty in the hypnosis sessions. 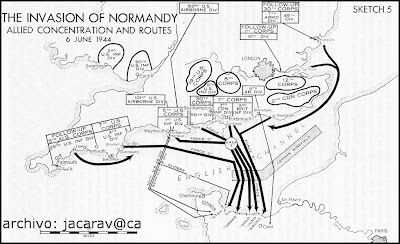 Researcher Rich Reynolds discovered that at Betty's meeting place, on the wall, there was a drawing of the famous Normandy landing. 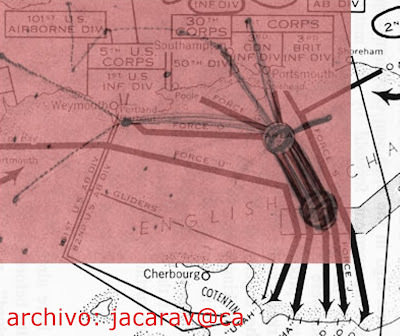 To the left (in blue) Betty's map, if you look closely, the map of Normandy (right, marked in red) has the same lines as the star map (3 top lines and 1 left side line), and practically in the same directions (even the line with two directions on the star map, can be interpreted as the mental "union" of two of the lines on the landing map). Therefore, the reproduction of the star map would be a simple distortion of the military plane, observed by the witness on countless occasions, and remembered in dreams and "repositioned" in a different setting, with an "extravagant" meaning... apparently... but in accordance with the whole scene reproduced by the external agent, the supposed extraterrestrial visitation and the medical examination (file of the author of the report). What is most striking between the two designs are the two "dots" that connect with several lines and have several branches at the ends. The author of the report found that even if we superimpose both images, the inclination of both "cartographies" coincides surprisingly. The star map therefore appears to be only a modification, a "mental" distortion of the original plane as if it were remembered and represented during a dream, but which is reproduced in another context. Not for nothing did Betty say: "And she put the map... the rolled-up map... put it in the place on the metal wall from where she had taken it (...) I asked her if she wanted to roll the map out again". It is tremendously suspicious, no doubt the product of a covert psychic implication, that aliens have a space-navigation chart to travel through the vast infinite, in such an archaic format, a "species" of rolled paper, what a Jack Sparrow map. Why don't they have a laptop, for example? It would be revolutionary in 1961. Or even a holography projected in the air would have a more futuristic and avant-garde look. But a simple map displayed on a table?...this could have been "dreamed" by any of us... In addition, during the preparation of the trip, they repeatedly consulted the road maps that they had by chance, lines and points. Therefore, it is clear that if we analyze the testimony offered by the Hill's we will find many indications that their experience was conformed (fabricated) with the psychic material of their own unconscious, and that with the help of the external agent, it was projected to the exterior to create, following the patterns of sleep, their particular and untransferable experience of kidnapping with aliens. This is not a hallucination caused by the Hill couple, but the participation of an unidentified external agent, who is capable of "materializing" all this staging, as if it were a gigantic theatrical representation, was necessary and indispensable. Comparison of the signs observed by Betty (blank column) with Japanese writing.